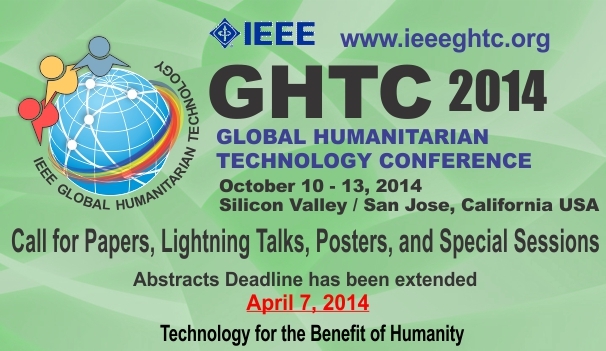 If for any reason you cannot come to IEEE GHTC in Oct but have a great idea, please consider attending IEEE Canada IHTC 2014 International Humanitarian Technology Conference which will take place in Montreal, Canada in June. IEEE Canada IHTC 2014 is now calling for papers. Exhibitions: There will be an exhibition site at the conference. Companies and institutions who are interested are encouraged to contact the exhibition chair for further information.